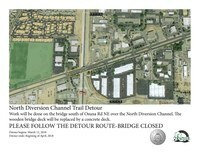 The North Diversion Channel Bridge will be temporarily closed for renovation. A detour route has been set up for trail users. 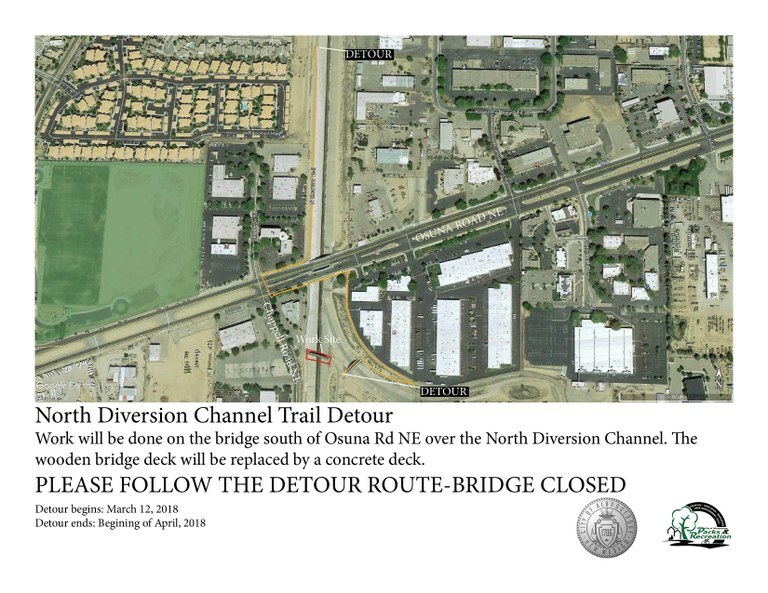 Construction on the North Diversion Channel Bridge will begin Monday, March 19, 2018. Trail users will need to follow the detour route during the closure because the bridge will be completely closed to all traffic during construction. Please see the map below for more information on the detour route. Work on the bridge is expected to be completed in April 2018. Click here for a map of the detour route.